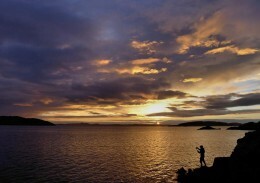 Lochinver offers an all year round holiday destination, providing a variety of activities to suit all tastes. 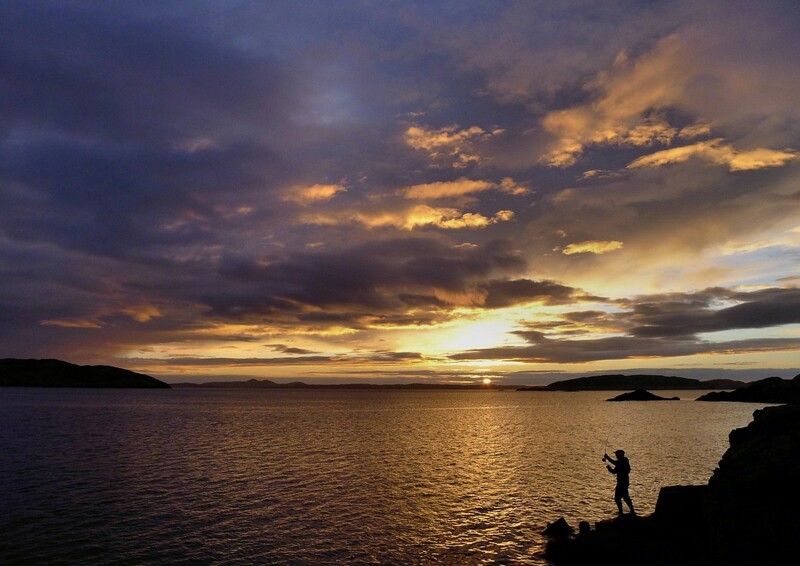 From walking to climbing, fishing to sea angling, bird-watching to playing golf there is something for everyone to do. At the far end of the village we have Assynt Leisure Centre that has a sports hall with 3 courts and there is also a fitness gym. Various activities are organised throughout the year and it is well worth checking out what may be on. Bouncy castle for the little ones, pool and table tennis and a small snack bar are also available upstairs. There are many walks that can be taken locally, some just along the River or over the hill to our nearest sandy beach or others through our Culag Woods which lead down to a lovely little pebble beach. The Highland Council Countryside Rangers also offer some guided walks throughout the summer for a small charge and they operate out of the Assynt Visitor Centre, which is also home to the Tourist Information Office. Inside there are displays which include a CD rom of Assynt, a reference section on geology, history and wildlife and there is also a live web cam watching the herons nesting in the nearby Culag Woods. Mountain climbing is extremely popular in this unique area of the Scottish Highlands with some Corbetts and even a Munro or two to tackle. If you are looking for a guided climb Go Further Scotland offer guided climbs on mountains such as Stac Pollaidh, Suilven and Foinaven. Interested in kayaking? Norwest Sea Kayaking are a locally based company offering introductory and intermediate courses along the remote and rugged coastline. There are hundreds of fresh water lochs in the area holding wild brown trout and permits to fish are available at the local visitor centre. 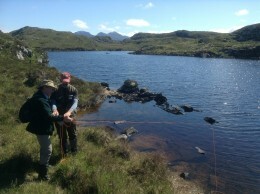 There are also disabled facilities for anglers at two lochs on the Little Assynt Estate. If you would like to fish for Salmon, permits if available to fish on the River Inver or Kirkaig can be obtained from Inver Lodge Hotel. There is also a local company Assynt Fly Fishing who will take you out to the many lochs and will act as your guide offering advice on getting started and refining your fly fishing skills. He is also a fully qualified Mountain Guide and can offer guided walks from low-level hills right up to multi-day expeditions. 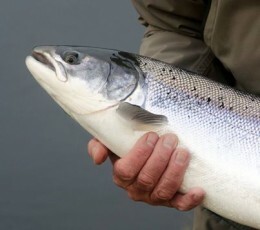 Sea Angling is offered by Summer Isles Sea Tours in Achiltibuie and runs from May to September. Golf is offered locally at Durness or in Ullapool where you can play on a 9 hole course or if you are prepared to travel further for a links course these can be found at Tain Golf Club or at the Royal Dornoch Links. Cycling is another popular activity on these usually quiet roads and cycles can be hired if you do not have your own from the Rose Bed & Breakfast. 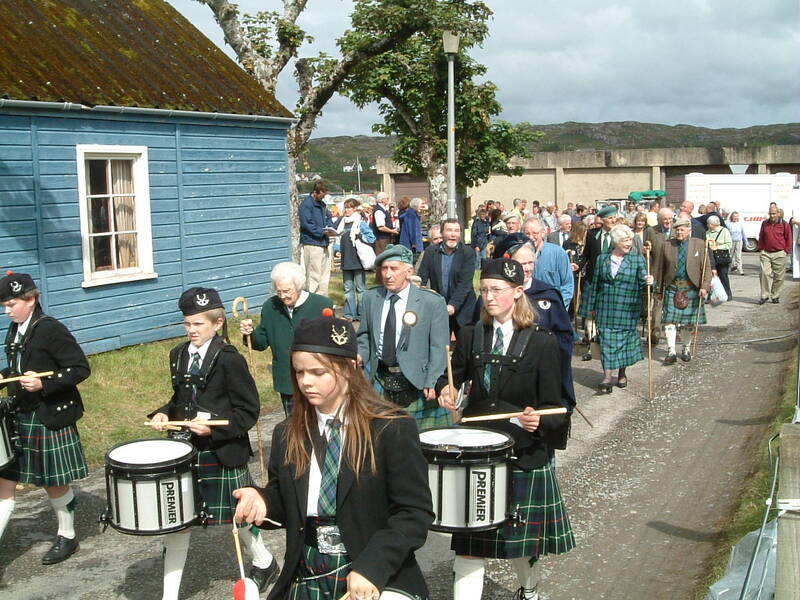 Our annual Highland Games are held on the 2nd Friday in August at Culag Park in Lochinver. 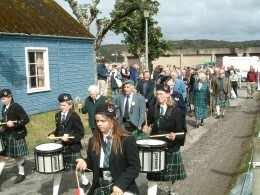 The Chieftain is piped ashore from the Chieftains barge along to the playing field where the games will take place. Competitions in fly casting, highland dancing, track and field and the heavy events, to name a few together with side stalls, make a very enjoyable day out. We really enjoyed our relaxing week in Midtown chalet. The second time we have stayed in your comfortable and well equipped chalets. The weather was fantastic - almost too hot - and we enjoyed walks in the area and a visit to Handa Island where we saw puffins on Great Stack. Hope to be back again.